We thought we’d seen just about every twist on virtual racing there is… and then along comes another giant twist! 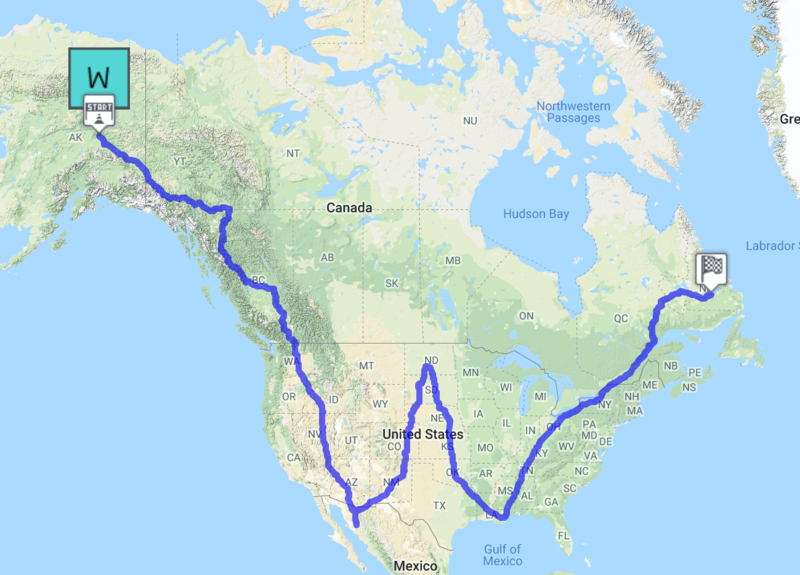 This December, staffers from WEST Inc aim to try to combine their exercise (converted into miles) and cover a 9,698 mile route, shaped as a ginormous W, for a virtual race across the North America. With 115 staffers, that ends up being 84 miles per person, which is hefty mileage for most people. But, from talking with staffers at WEST, it’s clear the company, headquartered in Cheyenne, Wyoming, has a vigorous culture. WEST does environmental consulting and many of its staff enjoy the outdoors. Check back in January to see how far the WEST team makes it!